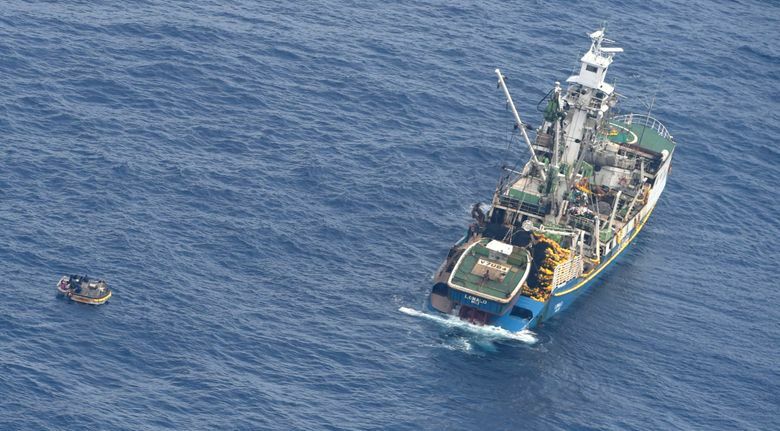 WELLINGTON, New Zealand (AP) — A ferry that sank earlier this month while sailing between two islands in the remote Pacific nation of Kiribati had been ordered not to carry passengers because of earlier damage, the government said Wednesday. About 80 people are missing, although the government hasn’t confirmed the exact number. A New Zealand military plane using radar found a small wooden dinghy on Sunday that was carrying seven survivors who told rescuers the ferry sank. The ferry left Nonouti Island bound for South Tarawa on Jan. 18, according to authorities, a journey which was supposed to take two days. New Zealand rescuers said they weren’t told about the missing boat until Friday, eight days after the ferry had left. New Zealand’s Rescue Coordination Centre said they’re continuing to search for a more substantial life raft that may have been launched from the sinking ferry and which was designed to carry 25 people.